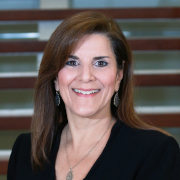 Patty Flanders, Senior Vice President of Human Resources, leads all aspects of human resources management for Harland Clarke and is responsible for the recruitment, development and engagement for more than 3,600 team members throughout the U.S. and Puerto Rico. Patty joined Harland Clarke in 1997 and during that time has held various senior leadership positions. Most recently, as Vice President of Human Resources for Harland Clarke Holdings, Patty led the development of a strategic workforce plan to further enable growth strategies across the enterprise. With more than 30 years of experience, Patty has led multiple HR information system conversions; HR mergers and acquisition activity; comprehensive healthcare strategies; and effective compensation plans. Prior to Harland Clarke, Patty served as a compensation and benefits supervisor for Six Flags Fiesta Texas. Patty has been recognized with several industry awards for developing and launching wellness programs in addition to earning two Pillar of Excellence Awards, Harland Clarke Holdings’ most prestigious individual award.